On its surface, the image on the two-dollar bill appears to reflect nothing more than an innocent scene of daily Inuit life. But dig a little deeper, and the story behind the photograph becomes much more complicated. If you’re a Canadian of a certain age, you’ve likely seen the Idlout family. In fact, you’ve probably carried them around in your back pocket. The reason: they’re featured on the back of the 1974 two-dollar bill. 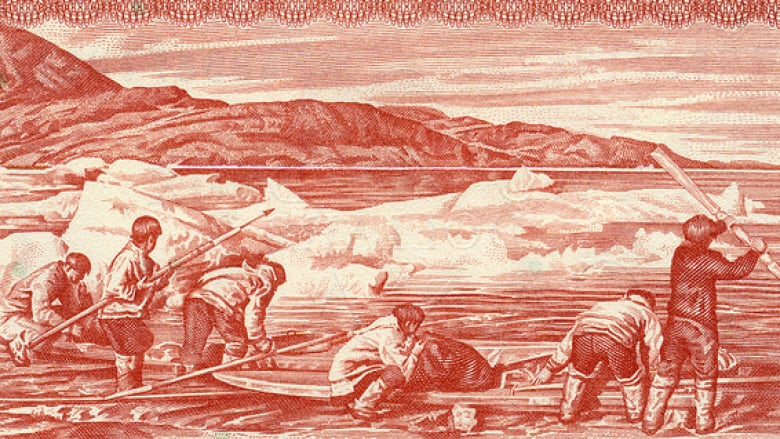 Part of the Scenes of Canada series, the discontinued bank note depicts a group of six Inuit men preparing their kayaks for a hunt. One of the men is Joseph Idlout, the grandfather of Canadian musician LucieIdlout. On a recent episode of the CBC Radio program DNTO, she revealed how the photograph of her grandfather and his relatives came to be taken. “My grandfather was known to be an excellent hunter,” said Idlout. Based on a photograph taken by documentarian Douglas Wilkinson, the bill features Joseph Idlout and his relatives hunting nearby the Baffin Island community of Pond Inlet. On its surface, the bill appears to reflect nothing more than an innocent scene of daily Inuit life. But dig a little deeper, and the story behind the photograph becomes much more complicated. In the 1950s, the Canadian government relocated a number of struggling Inuit families from Inukjuak (Quebec) to the communities of Resolute Bay and GriseFiord - hundreds of kilometres to the north. Ostensibly done to improve their standard of living, the realities of life in the High Arctic proved difficult for families accustomed to the warmer temperatures and more fertile tundra of Quebec. To ease their transition, Joseph Idlout was hired to instruct the southern Inuit on life in the unforgiving northern climate. “His role in Resolute Bay was to assist with teaching Inuit how to survive in a much harsher climate than what they were used to,” said Idlout. 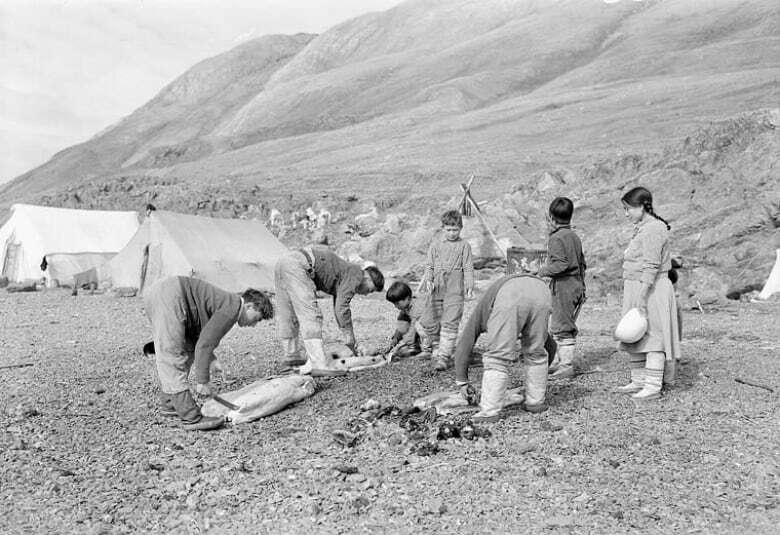 As the transplanted Inuit struggled to adapt to their new surroundings, the motivation behind their relocation became increasingly clear. And while adjusting to a new and unfamiliar landscape was challenging, LucieIdlout said that it was the actually the change in lifestyle that had the biggest consequences - both for the transplanted communities and for her grandfather. “With the amenities and modernness of southern life coming to the north … it really changed the way Inuit lived," said Idlout. And though he was considered to be an exceptionally skilled and well-respected man, the move proved to be particularly traumatizing for Joseph Idlout. Although reports of his death vary, LucieIdlout says that her grandfather’s eventual suicide can be traced back to the relocation. The Scenes of Canada series, which was printed and put into circulation between 1969 and 1979, was meant to instill pride and reflect Canadian settlements from sea to sea. When asked how she feels looking at the bill today, Idlout says she has mixed feelings. But despite the darkness the bill represents, Idlout still feels a certain pride when she looks at the image of her family on the $2 note. To hear the Lucie's full interview, tune in to the May 6th episode of Your DNTO - 2:00pm on CBC Radio One.